Solution to mount Windows 8 / 10 virtual disks: ISO images or VHD drives (and Windows 8.1)! You can quite easily mount virtual drives in Windows 8.1/10 and on Server 2016 / 2012 or 8.1 without additional software, such as ISO images or VHD files. Easy mount virtual disks ISO images or VHD drives! Please open (start) with the keyboard shortcut [Windows Logo] + [E] the Win-8 Explorer, open the path (directory) where the corresponding ISO or VHD file is located and select it. Via right-click open the context menu and click or tap "Mount" ( ... see Image-1 Arrow-1). And it already appears as a mounted drive in MS-Windows Explorer, but can also be availed in any file manager, e.g. in freeware file manager Q-Dir or another file manager based on MS-Shell. (Image-1) Mount in Windows-8 virtual disks: ISO images or VHD drives! Windows-8 - FAQ-67: How to mount in Windows-8 / 10 and 8.1 virtual disks like ISO images or VHD drives? How to mount win7 iso to vhd in win 8.1 or Windows 10? How to download virtual drive in windows 8.1? Restore mount command windows 8.1 or Windows 10? Software to make and mount dvd images for windows 8.1? Magic disc windows 10, How to create virtual hard disk in windows 8.1? How to mount a folder to virtual drive in wni 8.1? Virtualdvd in vm sharepoint 2013 cab? How to mount VHD in windows 8? Vitual disk windows 8.1 or open iso in virtual disk win 8.1 or Windows 10? Windows 8 iso mount hangs, how to enable virtual drive windows 8.1 or Windows 10? Mount vhd file windows 8.1? Windows 8 vhd, windows 8.1 and 8 mount virtual disk? How to boot from a virtual disk 8.1 without an image? Windows 8 hide mount iso image? Create virtual DVD drive windows 10, Vhd attach win 8.1, Image mounter windows 8.1? Windows 8.1 and 8 virtual disc mount iso? Windows 8.1 how to determine path of mounted iso? How to wirtual disk windows 8.1 or Windows 10? How to mount a file to a virtual drive windows 8.1 and 8? Downloade iso auto mount windows 8.1 file location? Mounten in windows 10, Virtual drive windows 8.1? Create virtual disk link to folder windows 8.1 or Windows 10? Windows 8.1.1 full iso file download? Can I mount VHD files on Windows 8 and how to? Windows 8.1 problem mounting iso 10 technical preview? How to create and use NTFS mounted drives in Windows 8.1? Alcohol 120% does not auto mount images on Windows 10 boot, Unmounten in windows 10, Mount iso on virtual drive windows 8.1? How to create iso image virtual windows 8.1 and 8 or Windows 10? How to create virtual drive windows 10? How do you mount a disk in windows 8.1? How to Mount The Windows 8ISO Image Into A Virtual Drive? Mount vhd Virtual disk windows 8.1? Iso virtual drive windows 8.1? File iso dr win 8 32bit download compressed? Iexplorer windows 8 disk mount file location? How to open an .iso file in windows 8.1? Can I mount ISO files on Windows-8 like o Linux? Windows 10 technical preview cant mount file? How to disable windows 8 virtual drive? Virtual cd on windows 8.1, Windows 10 Mount-VHD? Disk images for virtual disk drive for windows 8.1 or Windows 10? When moun image pc restart in windows 8.1 or Windows 10? Program to mount virtual disk in windows? Mount iso virtual drive win 8.1? Virtual drive iso windows 8.1 and 8.1 or Windows 10? Virtual disk for windows 8.1 to mount iso? Install windows 8 to vhd on windows 8.1? How to mount vhd in windows 8.1? Windows 8.1 Mount virtual drive? Mount virtual disk on windows 8.1 or Windows 10? Restore windows 8 vhd to hard disk? Magicdisc windows 8.1, Mount virtual drive windows 10? How to mount an iso in windows 8.1? 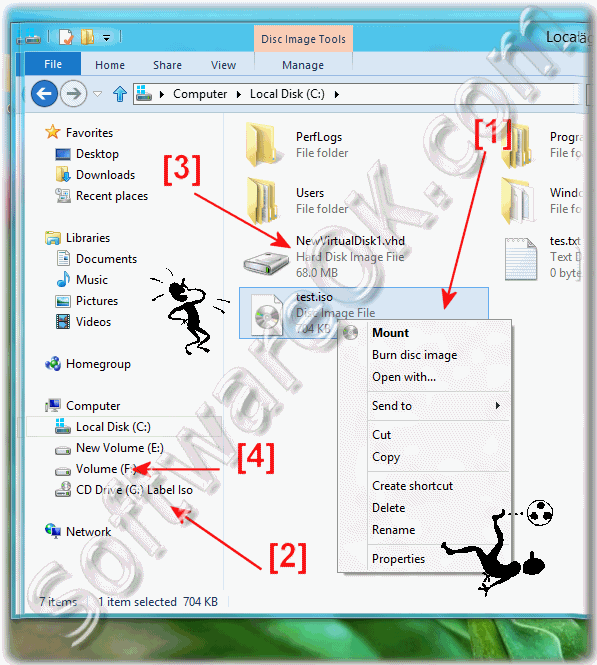 How to mount iso image in windows 8.1 without cd drive? Virtual disk support for windows 8 download? How to unable virtual image drive in windows 8.1? Default sotfware to mount disks in windows 8 and 8.1 or Windows 10? Windows 8.1 virtual disk drive? Sorry there was a problem mounting the file Windows 8.1 64bit VM? At program do u use to have virtual drive for windows 10? Virtual Drive Software Windows 10? Virtual disc drive windows 8.1, how to mount virtual drive on windows 8.1 or Windows 10? Mounting program for windows 8.1, Windows 8.1 mount cab, Windows 10 microsoft virtual dvd-rom? Virtual disk drive windows 8.1 or Windows 10? How to use virtual drive in win 8.1? Mounting image software for win 8.1? How to enable virtual drive in windows 8? Mount a vhd in windows 8.1? Iso virtual drive software for windows 8.1? Windows 8.1 mount iso image? Virtual drive player delite for windows 8.1 or Windows 10? Windows 8 local policy deny access to partition vhd? Mount disk image win 8.1 or mounting an ISO Image in Windows 8 or 8.1? Mount disk image on windows 8.1? Win 8.1 ISO mount or virtual drive windows 8.1? Error mounting vhd windows 8? Image mounting program for win 8? Mount drive win 8.1 or Windows 10? Virtual disk mount windows 10? Auto mount virtual drive windows 8.1 or Windows 10? Iso mount software and Virtuldisk for windows 8.1? Disable ISO Mounting in Windows 8.1? Windows 8.1 and 8 mount disc image change vhd? How to mount iso on vhd? Image mount software windows 8.1? Mount iso image windows 8.1? How to use cd driver in virtual on windows 8.1?